Redneck Revolt is Training in Cold Weather….Are You? These guys believe you’re the enemy if you’re, ‘rich’ or ‘conservative.’ They are putting the ‘RED’ back into ‘Redneck.’ No matter what their web site says about protecting ‘working class’ people, it’s all about taking property and wealth by force that has not been earned. In effect, stealing. So…have you trained on anything this holiday season? Note in the images the one sporting the ‘Che’ patches. A dead communist executed by the Bolivian army for war crimes. Your basic commie butcher. And these people put him on a pedestal. Go figure. This entry was posted in Op-Ed on December 27, 2017 by Defensive Training Group. Remember the reason for the season! Enjoy everything these 12 Days of Christmas bring!! This entry was posted in Op-Ed on December 25, 2017 by Defensive Training Group. To start, work has been one very intense journey for the last 18 months. When I took this job, I knew it would be intense for the first couple years, but life always has a way of showing you that any preconceived notions you may have had end up being wrong, sometimes by a loooooooonnnnng shot. So it has been with this job. But, it’s paying the bills, so there’s that. All that to say, if you’re a regular follower here, that’s one of the reasons there haven’t been that many postings, or when there are, it’s a re-post from someone who wrote something very useful, or it’s something I wrote earlier that relates to scenarios or situations seen today. Going forward, the focus here at DTG is going to be focused almost exclusively on survivalism and preparedness. Our friend JC Dodge made that decision sometime back, and I believe he’s glad he did. Post-wise, yes, I know I’ve put up a few politically related opinion pieces, especially in the last general election, but I don’t think right now it serves a purpose, because there is a divide in the country that is unparalleled, and this time it’s not geographically based for the most part like the last time our country was this divided (circa 1860). It’s ideologically divided, and I’ve found that any attempt to persuade a person, even someone you know well who’s on the other, ‘side,’ is typically met with downright hostility. Even among ‘like-minded’ people, ‘circular firing squads’ (so to speak) abound. There is no benefit to the listener or the speaker because civility, and the mutual respect necessary to listen to, while disagreeing with, another’s opinion, and building the necessary foundation to reason together, is fast disappearing. Here we are; imagine where we will be…. The double edged sword of technology is the chief enabling factor in this fast growing lack of civility, because keyboards and phone pads allow ad hominem attacks to become part of a ‘record’ with no accountability or consequence to the attacker(s). One only has to view the news to see lives destroyed by a mention of inappropriate behavior decades past with no proof other than the ‘politics of emotion’ coming into play on the given situation or subject. 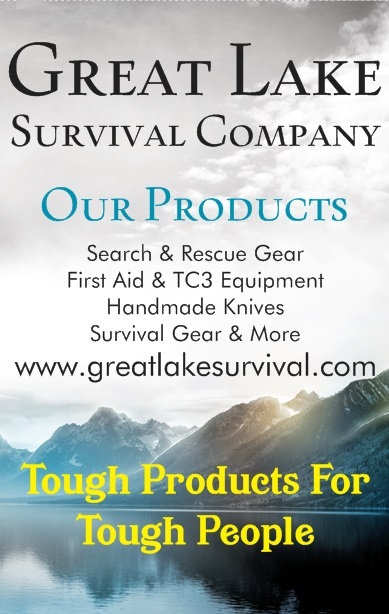 So, all that said, for the foreseeable, we’re making the move to more survivalist related subjects, book & equipment reviews, and will pass along good information found from trusted authors on fundamental subjects. As always, your readership is appreciated, and we thank you. This entry was posted in Op-Ed on December 9, 2017 by Defensive Training Group.